Faith Evans opened up BIG time when asked about her personal relationship with Biggie. 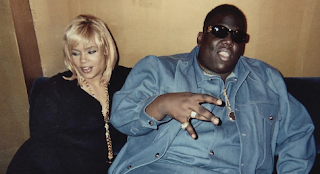 In the Drink Champs podcast, Faith Evans admits [regarding eating the booty with Biggie] "He ate mine a few times. I might have ate his back." Click below to hear the clip for yourself!